For over 20 years, our founders have been in the construction industry. They began in Kentucky and in 1999, they saw the opportunities in the growing Texas housing market, and moved the business to Texas. Since then our company has exploded. 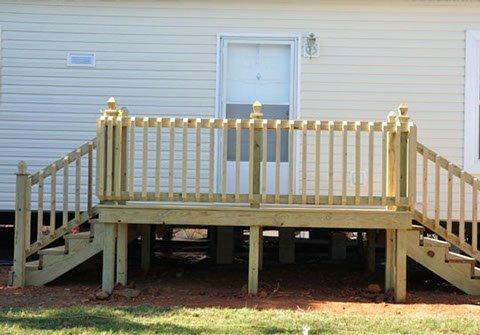 We build several thousand decks each year, from individual clients, to housing communities. Our latest push has been into the oil and gas industry and we have served multiple man camp facilities. 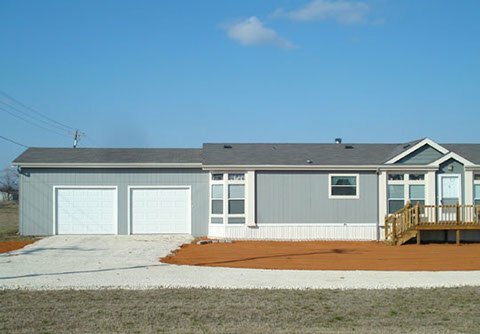 Along with FHA/Modular home requirement training, we are licensed and insured. Today we service the DFW, Houston, San Antonio, Austin and West Texas regions. No job too big or small, we are here to serve! Nothing connects your home to the outdoors like a deck. 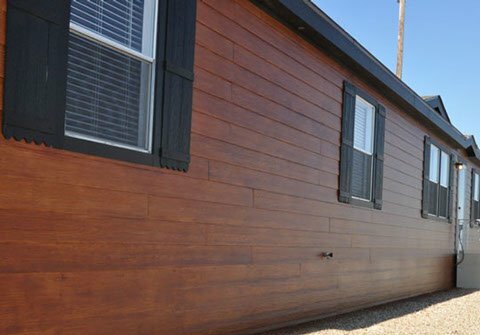 Pre-Fab Decks has become a leader in the deck market for a good reason. For over 10 years, we have kept true to our original goals: Service and Quality. 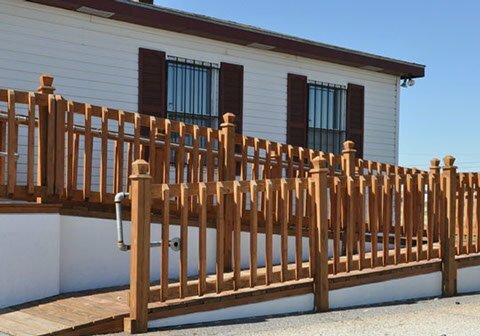 At Pre-Fab Decks, we care about you and we know that your deck is a place for you to enjoy time with family and friends. Our skilled crews build your deck quickly and efficiently, meaning you have less down time and more fun time! 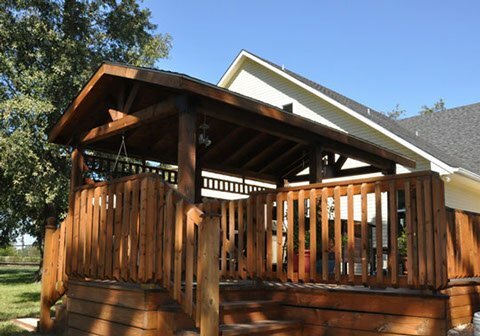 95% of our decks are built in a day or less, creating little to no impact in your schedule and in your yard. In fact, your new deck will be the talk of the neighborhood because it just “appeared” in your yard! Along with caring for your home, we care about the environment. We have achieved minimal waste (less than 1% on standard decks) by our innovative construction methods. One simple example that may seem small, but makes a huge impact on our landfills, is that we take all the cut off post pieces that normally would go into the trash and use them to create our post caps. This allows us to control the quality of our post caps, the crowning touch to your deck, while limiting our impact on our planet. With over 100 standard options that are ready to “plug and play”, we offer custom options. We will come out and spend time with you, listening to what you need and want for your backyard paradise. We will then prepare a free estimate for you, giving you the knowledge to make the right decision about your purchase. Another great feature of our in-home free estimate is that we don’t send a sales rep – we send our Crew Manager. This means our commitment to Service and Quality is never compromised, giving you the peace of mind that your job will be done right. Can you picture this in your yard? For an extensive gallery of completed jobs, please visit our Facebook page. 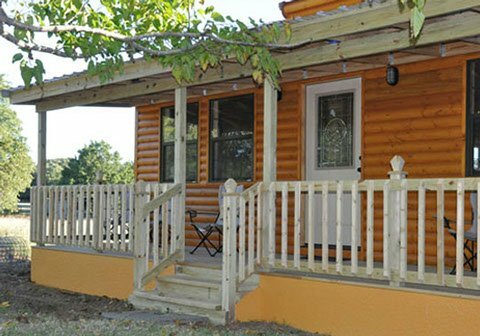 These beautiful porches come standard with our trademark sunburst. 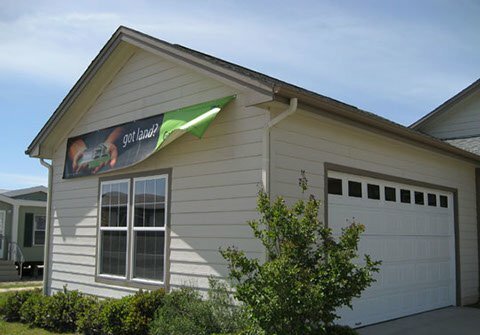 with many customizable options you can design the perfect gable porch for you! 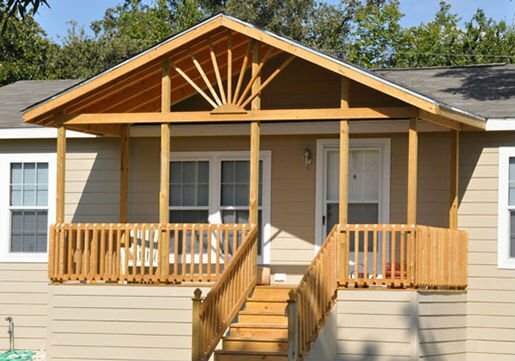 These single slope roof “built in a day”porches are a great addition to your home! 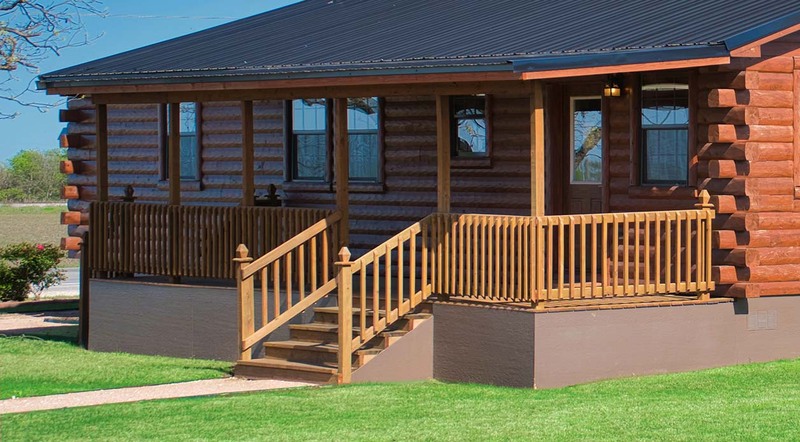 With your choice of metal or composite shingles to match your house , this porch can be built to the size that best fits you and your family! Our quality ADA approved ramps will stand the wear and tear of heavy use! With many options from hand rails to slip resistant coatings , we can design the right ramp for you! Wanna protect your vehicle from that “Hot” Texas sun or the cold? This is your perfect solution, with many sizes and options to choose from. Contact our professionals for a design that will fit your needs. Don’t want a full covered patio? Check out one of our many beautiful pergola designs. The perfect place to relax in the shade! 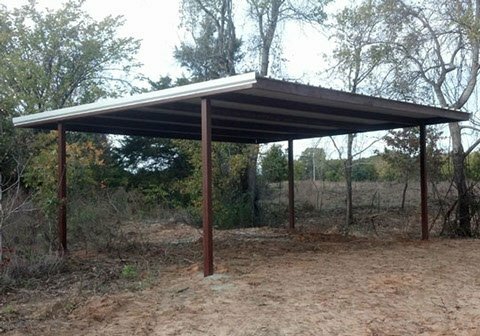 These Heavy Duty Carports are built with 14 gauge steel framing and the perfect option to get your vehicle out of the sun or rain. “A house a day” per crew. We are trained in all FHA/RCS Modular Requirements so there is no job too big or too small for us to handle! We offer 3 main products Hardi panel, Hardi lap , and LP Smart Panel. Every job is painted to match your house unless you specify differently. Please contact us for the many customized options we offer. These decks are hands down the best product for your money on the market. From the design of the deck to the intricate design of our trademark post caps. Our commitment to efficiency and quality is evident. 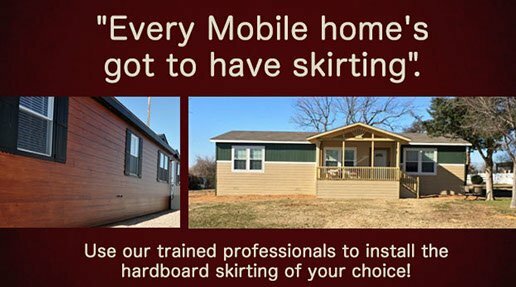 These are truly ” built in a day decks” with many of them taking only 3-4 hours to build we will make minimal impact in your busy schedule! 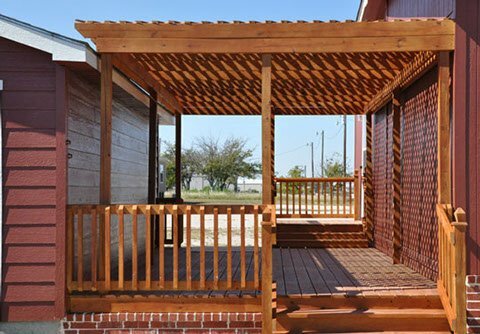 Want that perfect design for your backyard deck,porch or garage. 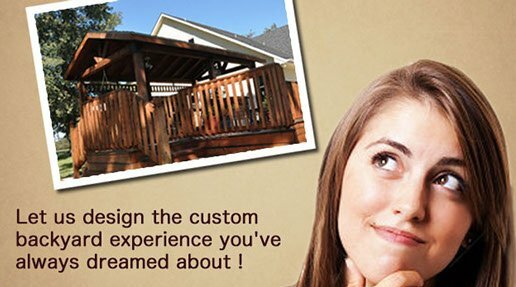 Our professionals will help you design the backyard creation of your choice! 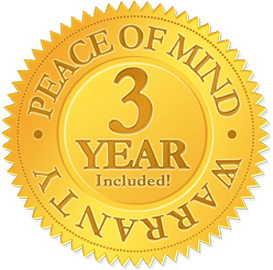 Have peace of mind with Pre-Fab Decks 3 year warranty. Our warranty is the leader in the industry! With 3 years of construction coverage, we show that we stand behind our work. When you buy from Pre-Fab Decks, you can buy with the knowledge that we will be here in the years to come, to ensure your purchase brings the beauty and joy to your home that you desire.